GARDEN CITY, N.Y. — Former Yankees legend, Bobby Richardson, is scheduled to appear on Wednesday evening on Oct. 21, 2015 from 6:30 pm to 8:00 pm to meet and greet fans where he will sign autographs and memorabilia at the Steiner Sports Store located in the Roosevelt Field Mall in Garden City, NY. For more information, click here. 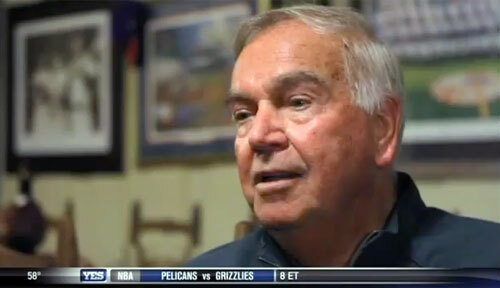 >Bobby Richardson is a former MLB second baseman who played for the New York Yankees from 1955 through 1966. Batting and throwing right-handed, he was a superb defensive infielder, as well as something of a clutch hitter, who played no small role in the Yankee baseball dynasty of his day. He is the only World Series MVP ever to be selected from the losing team. He wore the uniform number 1 (one) for the majority of his career (1958–1966). Richardson is a devout Christian and is one of our more popular Christian speakers at Sports Speakers 360. If you would like to book basketball speakers or pro athletes like Bobby Richardson for a speaking engagement, autograph signing, guest appearance, product endorsement or special corporate event, you can request Bobby Richardson agent information and fees at Sports Speakers 360 or call 1.855.503.5450.